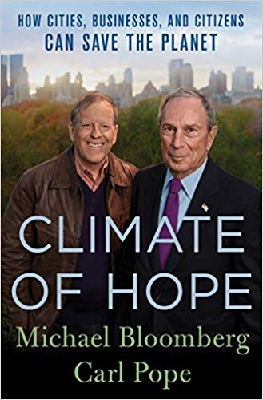 Mike Bloomberg, 11th richest man in the world and three-time mayor of New York, is considering pitching his hat into the ring as Democrat candidate for 2020. The news has not been greeted with much joy since he’s seen as out of touch with the political moment – white, centrist Wall Street billionaire, not entirely in tune with #metoo – while the party is moving leftwards. Born 14 February 1942 3.40 pm Brighton, Massachusetts, he has four planets in Aquarius – his Sun in the financial 8th conjunct the Moon, as well as Mercury and Venus which all sit in his 7th. He’s also got a heavyweight collection of Mars, Saturn, Uranus in Taurus in his 10th – aggressively ambitious, good executive material, quite autocratic. He looks frustrated and blocked exactly now, with dashed hopes through 2019 and 2020 – so looks unlikely. 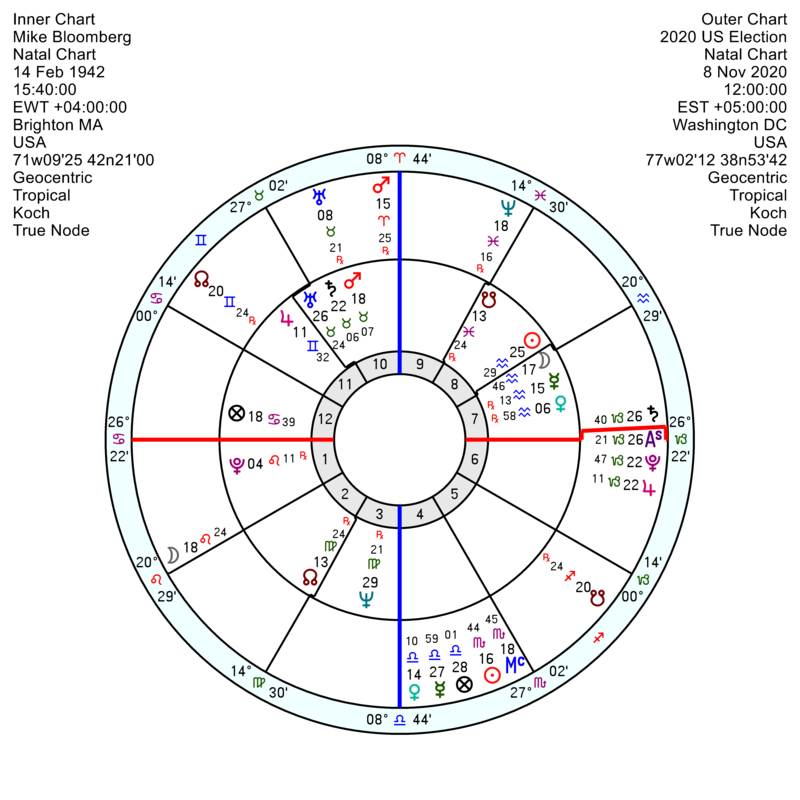 His Solar Return from February 2019 looks successful, but from February 2020 his career/life’s direction is directionless and undermined. 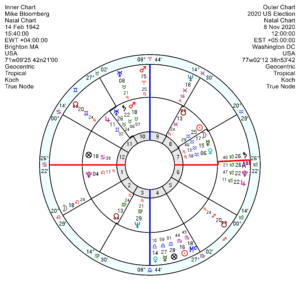 Over the next 2-3 years tr Saturn and Pluto will both trine his three planets in the 10th house – this has to be good for his career prospects, whatever they may be. Party moving leftwards is not entirely true. MoveOn, a progressive public policy advocacy group that backed Bernie Sanders in last elections, just conducted a poll among progressive Democrats on their preferred candidate in 2020, and Beto O’Rourke beat Sanders. Beto is actually very moderate in financial issues compared to Socialist Sanders and many rising stars of the party – for instance, he is for a single payer universal healthcare, but open to for profit providers. He also seems to be Obama’s favorite for the Nomination (I think not entirely a personal preference, Obama probably sees Beto as being more competitive in key states and demographics than, let’s say, Kamala Harris or Cory Booker). Still, I agree Bloomberg is definitely not what Democrats are looking for in 2020. They need someone capable of luring “The Trump Vote”, and another New York billionaire lacking a certain kind of street cred Trump had due to his building industry background, isn’t going to make it.